Custom precision pinhole apertures with hole diameters as small as 1 micron. 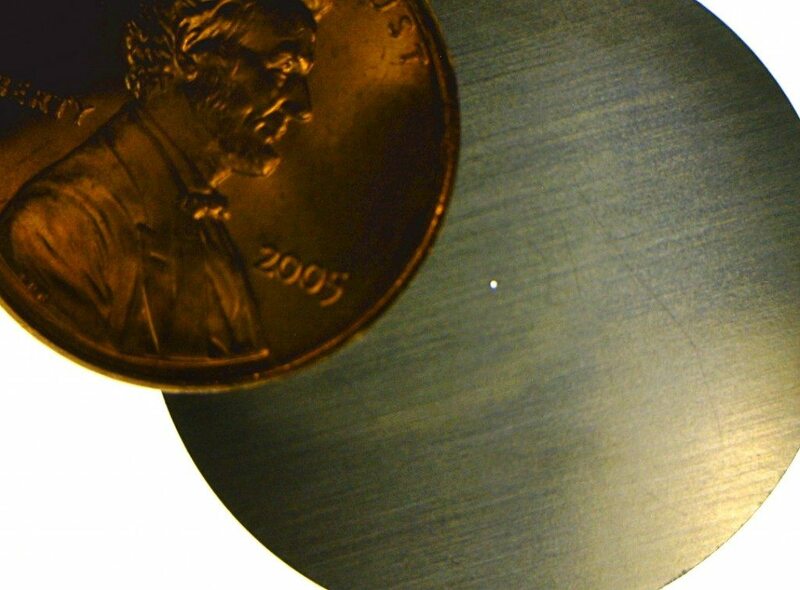 Pictured is a 0.006 thick stainless steel aperture with a .004 diameter pinhole (100 microns). The outer diameter of the part can be custom cut to any size. Email or call us today to discuss your requirements.